Fortunately, Sen. Bennet caught the cancer early and his prognosis is good. 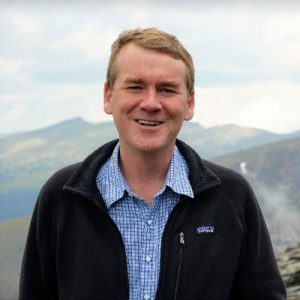 Well-wishers, including Republican Sen. Cory Gardner, flooded social media offering prayers for a full recovery for Sen. Bennet. Jaime and I are holding @SenatorBennet and his family in our prayers and know he won’t let this stop his continued work for Colorado and our country. Here is to a full and speedy recovery. The next Senate recess is next week. Obviously, the diagnosis gives Bennet more to consider as he weighs a presidential run. If he’s cancer-free following surgery, he will pursue the presidency in 2020. If he’s not, he will have to consider his decision carefully. Best wishes, Senator, for a quick recovery.